Разстояние до летището 6,4 км. 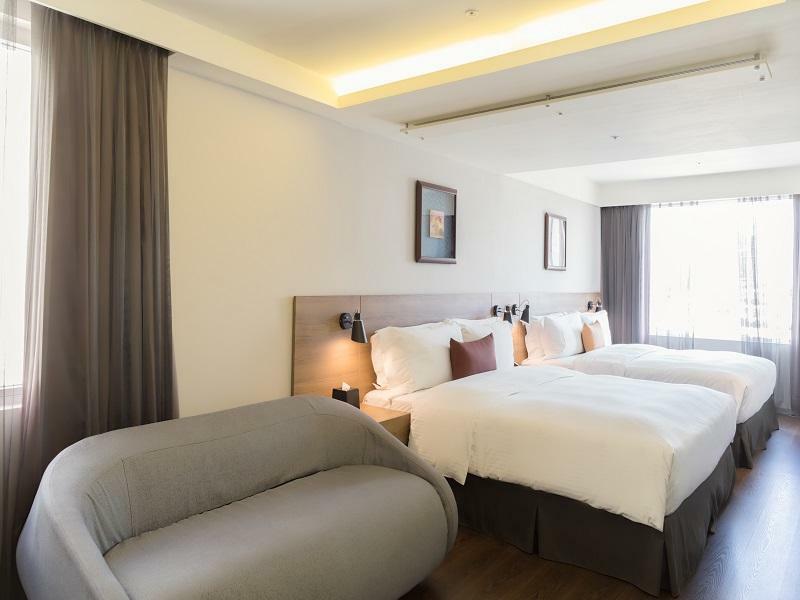 Имате въпрос към Just Sleep Kaohsiung Zhongzheng Hotel? 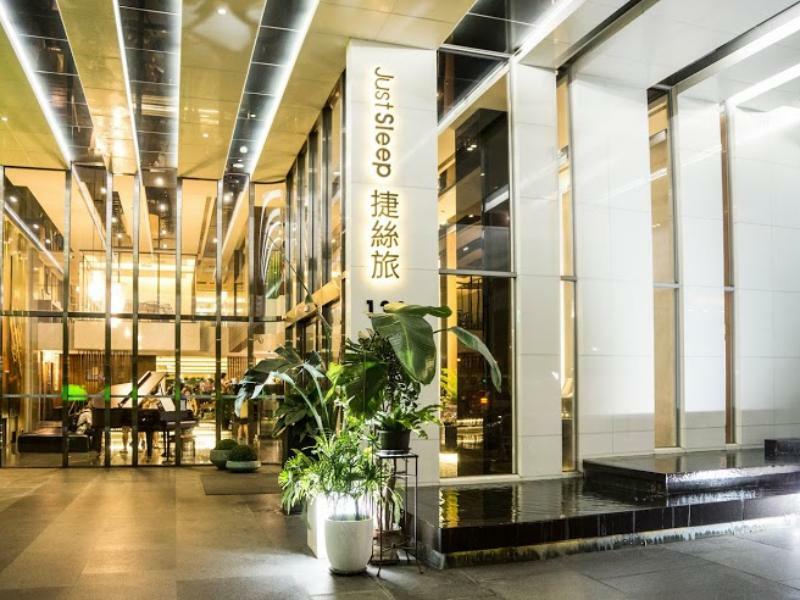 Just Sleep Kaohsiung Zhongzheng Hotel е перфектен избор за пътуващи, които желаят да почувстват духа на Гаосюн. Разположен на 3.2 km от най-вълнуващите части на града, този 4-звезден хотел притежава отлично местоположение и осигурява лесен достъп до най-големите забележителности. С удобното си местоположение хотелът предлага лесен достъп до всички градски забележителности, които задължително трябва да се видят. Възползвайте се от богатството на ненадминатите услуги и удобства в Гаосюн. За удобството и комфорта на гостите хотелът осигурява безплатен WiFi достъп във всички стаи, 24-часова рецепция, съхраняване на багаж, Wi-Fi връзка в общите части, паркинг. Всички стаи се отличават с грижливо замислени удобства, което гарантира неповторимо усещане за комфорт. Освен това в хотела можете да се възползвате от множество предложения за приятно прекарване на свободното време. Когато търсите удобно и комфортно място за настаняване в Гаосюн, изберете Just Sleep Kaohsiung Zhongzheng Hotel, който ще се превърне във втория Ви дом. This hotel is only 3 blocks away from freeway, also it's not far away if you need to catch airplane early in the morning. Also, subway station is two blocks away, it's easy to use the subway station to go anywhere around Kaohsiung. Also, the Veggie restaurant is great!! There is another Just Sleep Hotel near by the Kaohsiung Train Station, also have a Veggie Buffet ( as all you can eat) on 2nd floor. Отседнахме една вечер в април 2016 г. This hotel gives a good first impression when you stepped into its lobby. Rooms are spacious and being relatively new means that the rooms are clean and comfortable. Location is not that fantastic although it is quite near to the mrt station. There are not many good restaurants nearby. Отседнахме 2 вечер/и в ноември 2015 г. 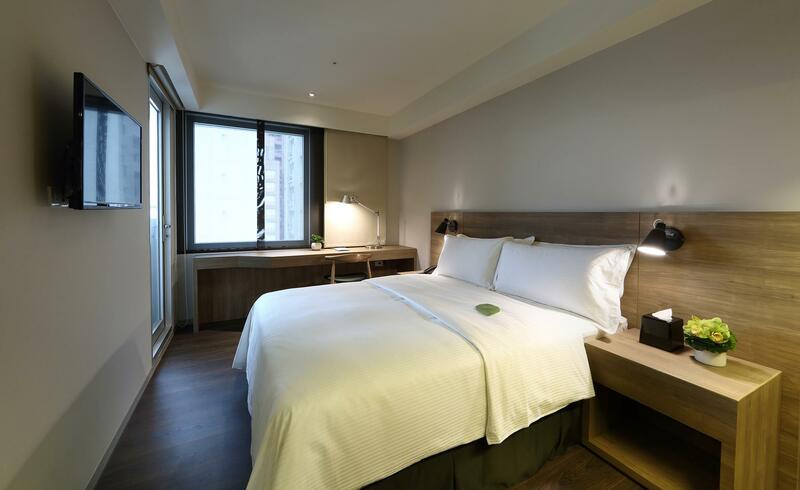 The hotel is close to metro station, staff are helpful and nice. the lobby is big and you can rest there and enjoy free coffee/drinks. Very well designed and trendy. The rooms are very technological designed which can match many youngsters' need. Отседнахме 2 вечер/и в януари 2015 г. The breakfast provided by the hotel was great. there were many choices of food and drink and also an option of vegetarian food. It is located only 3-5 minutes walk from a subway station. There is a small balcony inside the room. Washroom is spacious and clean. Отседнахме 3 вечер/и в октомври 2014 г.
it's a new and clean hotel. staff are very nice. dining is convenient, lots of restaurants around the hotel. and it's located near the Mo temple and night market. u can get a feel of local atmosphere. This is the second time we're staying at this place. It's within walking distance from a subway station, and there's a MOS burger joint right round the corner, and a small market behind the building. The distance to airport is also relatively short, with very affordable cab ride charges to and from the airport. 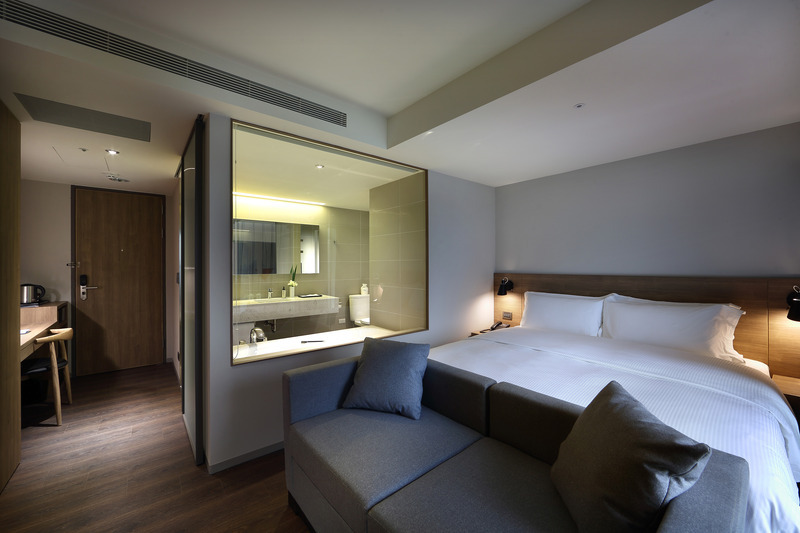 Rooms wise, they are done up with a contemporary theme - very zen feel. Love the self-heating toilet seat, which is a nice feel whether you've just come back from a cold rainy day, sweating from a balmy summer afternoon, or just woken up. The bidet functions are a nice touch too. 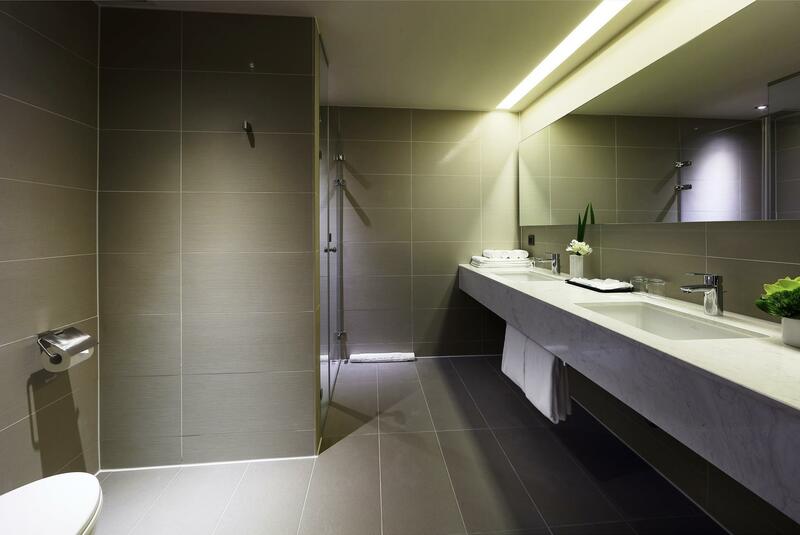 Shower facilities are good with body soap and shampoo dispenser. We might have chosen some other place closer to town or night markets, but this is a great place to stay close to relatives who stay nearby, which happens to be our case. Hotel staff are courteous and helpful and the breakfast spread has improved tremendously from the last time we stayed there 2.5 years ago. Отседнахме 3 вечер/и в март 2018 г. The facility is great and the cost ..but a minor mis understanding on the info. Because i paid breakfast upfront when i check in but here comes the staff in buffet area telling me i am not supposed to eat ..anyway she apologized for the error she committed. Отседнахме 4 вечер/и в декември 2018 г. Very close to MRT station, only 5mins away. Cleanliness is perfect. Staff are nice. But if you are looking for high CP hotel, you may be a bit disappointed. Отседнахме една вечер в октомври 2018 г. The bed is a little bit small. Fair price and good quality. Great bed, nice pillows, quiet, clean, new. Отседнахме една вечер в октомври 2017 г. 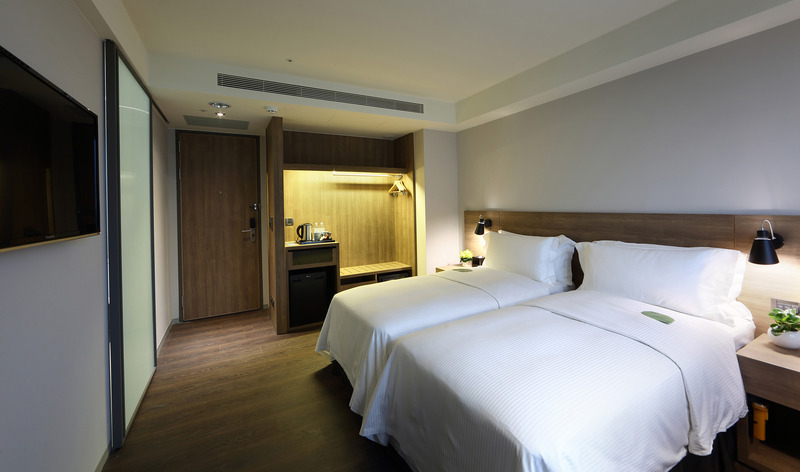 We were a group of 3 travellers who stayed only one night in Kaohsiung and were quite impressed by the quality of stay in this hotel. First, the staff was very friendly and helped us with lots of information on how to “maneuver” our short stay in Kaohsiung. Second, the hotel provided breakfast was of high standard and had lots of varieties from Asian style breakfast to Western style breakfast. 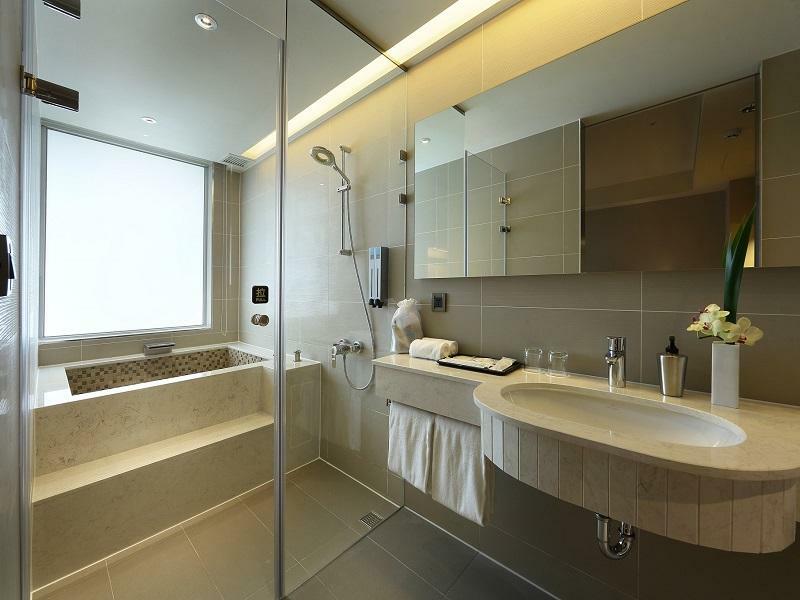 Third, the cleanliness and the modern looking aspect of both room and bathroom. And finally, the location - accessible to main subway line and is close to city center. 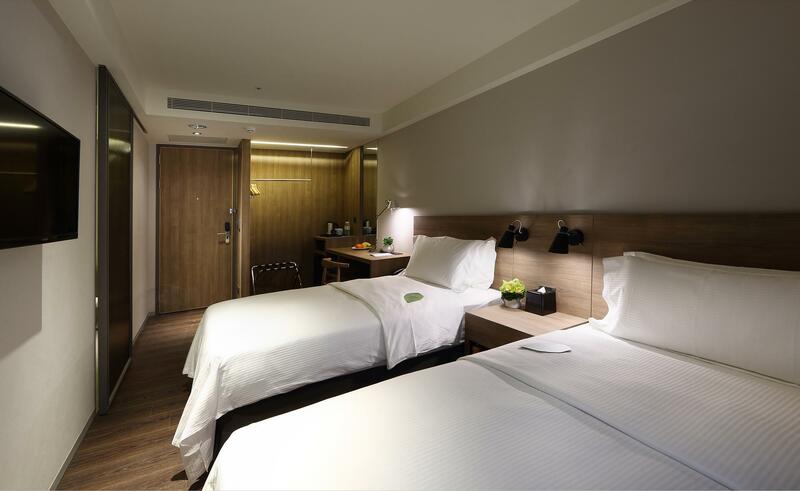 All in all, we truly recommend any first time visitor to stay in Just sleep Kaohsiung Zhongzheng branch. We truly believe you will have the same pleasant experience as we did. Отседнахме 2 вечер/и в юли 2017 г. We stayed 2 nights in a double room and the hotel was fantastic. 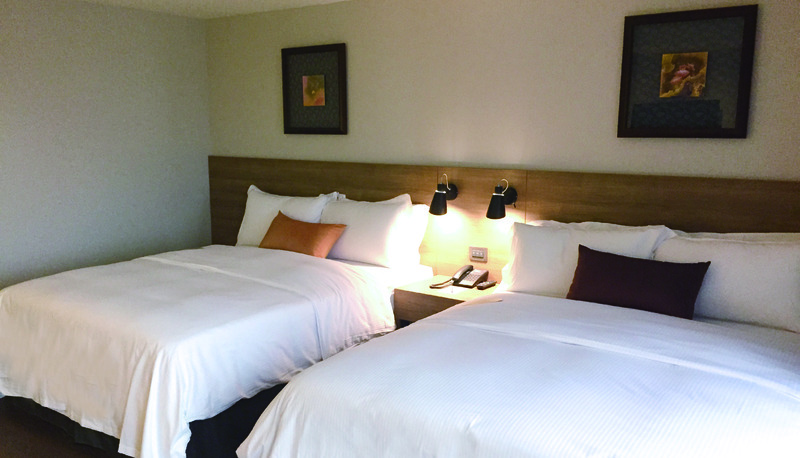 The rooms were super clean, and the hotel was only a block away from the KRT. The complimentary breakfast was filling and the free self-serve laundry was a much needed amenity during our journey across Southeast Asia. Definitely recommend. Hotel was not close to e subway. I booked this place partly because i was impressed by e breakfast selection, room lay out n service etc. Room was extrememly small for a twin room. Hotel use blinds instead of curtains, so if u r heading for a good rest n recharge yourself in e hotel, this is not a good choice. Hotel restauranr is not in operation after breakdast n limited options nearby, except for MOS burger. Very zen-like feel to the place. Beds are spacious and comfortable. The shower tends to wet up the entire bathroom though, that could be my only grouse about the room. There is a self-service laundry room and a little cosy living room-like place with little Taiwanese tidbits and coffee that's great for chilling especially if you visit the place with friends. Breakfast is vegetarian - a buffet spread with healthy foods, though carnivorous visitors like my son might find it unpalatable. Generally a pleasant place, plus it is close to the subway, and I would go there again the next visit.